Do you want to send your orders quickly and easily? Colissimo offers a variety of delivery solutions that will allow your customers to receive their parcels at home or in the pick-up point of their choice in France or abroad. Home delivery in 48 hours on average, everywhere in mainland France, Monaco and Andorra. Choose this shipping method for your shipments of small sizes or low value. The recipient is informed of the delivery of his package the day before by email. Integrated return to sender for undelivered parcels. Home delivery against signature within 48 hours on average, everywhere in mainland France, Monaco and Andorra. Choose this hipping method for your large and high value parcels. Delivery within 48 hours on average to one of the 19,000 service points in mainland France and Corsica. The recipient is informed of the delivery of his package when it is made available at the service point. With Colissimo, you have the possibility to choose to which service point your parcel will be delivered. You can see all available service points on Colissimo’s website. Home delivery against signature in 3 to 7 days on average, to 30 countries in Europe*. Choose this shipping method for your large and high value parcels. specific), United Kingdom, Ireland, Italy. Zone 3: Denmark, Estonia, Hungary, Latvia, Lithuania, Poland, Czech Republic, Slovakia, Slovenia, Sweden, Switzerland. Zone 4: Specific territories of Spain (Balearic Islands, Canaries, Ceuta, Melilla), Bulgaria,Cyprus, Croatia, Finland, Greece, Iceland, Malta, Norway, Romania. Delivery to service point in 3 to 7 days on average, to 5 countries in Europe *. Delivery at home against signature in 5 to 10 days on average to OM1 and OM2 zones*. * Zone OM1: Guadeloupe (including Saint-Barthélémy and Saint-Martin), Martinique, Réunion, Guyana, Mayotte and Saint-Pierre and Miquelon. * Zone OM2: New Caledonia and its dependencies, French Polynesia, Wallis and Futuna Islands, French Southern and Antarctic Lands. Home delivery against signature in 3 to 10 days on average, to 235 destinations. 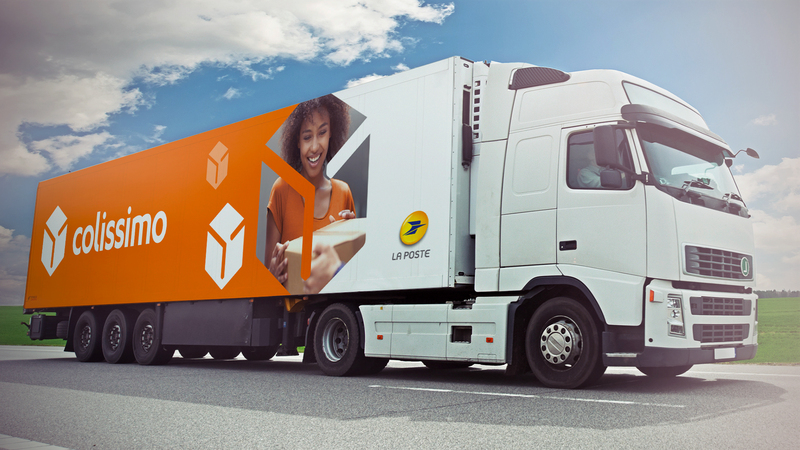 For more details regarding shipping to a specific destination, you can visit La Poste’s website. There you will have information such as the delivery time, the dimensions and weight of packages accepted as well as customs formalities, restrictions in terms of package contents and addressing specificities. Unstacked transport bundle on the surface opposite to the largest flat surface of the package. Shipments entrusted to La Poste must not contain objects that are dirty, dangerous, or prohibited, in particular counterfeit articles, contrary to the laws and regulations in force, in particular to labour law, and / or which, by their nature or their packaging, are likely to injure the agents of La Poste or to damage other objects or machines of La Poste. All goods subject to applicable national, European and international regulations on hazardous materials, such as, but not limited to, gases, ammunition, flammable, radioactive, toxic or corrosive materials, lithium batteries *. Legally defined fund objects and securities (including precious metals, bearer bonds and fiduciary securities). Jewellery excluding registered items (accepted on the Colissimo Home delivery against signature within France) and to the extent that the value (purchase and / or sale) exceeds the amount of the chosen recommendation rate. Shipments containing live animals, human ashes and funerary relics. Objects whose importation or circulation is prohibited in the country of destination. It is up to the Customer to consult the customs services the list of prohibited items being extremely variable. La Poste declines all responsibility in case of loss or damage if such contents were entrusted to them. They cannot be responsible for any reason whatsoever, nor the exceeding of an indicative time, nor the delay in case of commitment of delay caused by such contents. The Customer is held responsible for damage that could cause third parties and / or La Poste a package subject to the above restrictions and all consequences related to the non-observance of restrictions. Perishable goods in its parcels. La Poste cannot be held responsible for their deterioration, especially if an indicative time is exceeded, or for delay in the event of a delay. Fragile products. La Poste cannot be held responsible for their degradation. Responses to invitations or exam copies in his shipments. La Poste cannot be held responsible for any reason whatsoever, nor the exceeding of an indicative time, nor the delay in case of commitment of delay. In case of non-compliance with the provisions relating to the conditions of admission and in particular to the content of the shipment and / or the quality of the packaging, La Poste will not be held liable for any reason whatsoever. * except special provisions, inquire with the commercial contact. Please do not hesitate to contact us should you have any further query!